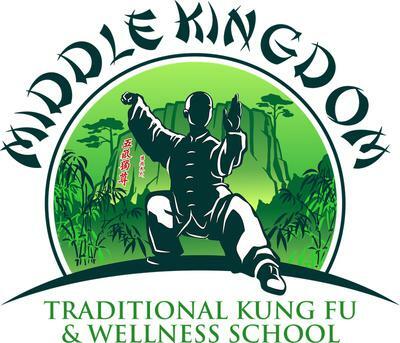 The Middle Kingdom Traditional Kung Fu & Wellness School has been set up to allow people to learn Wing Chun in China. We currently have two Wing Chun masters (as well as Shaolin Kung Fu and other styles). Western Huang is our principal Wing Chun master from the Yuen Kay San (Sum Nung) lineage. 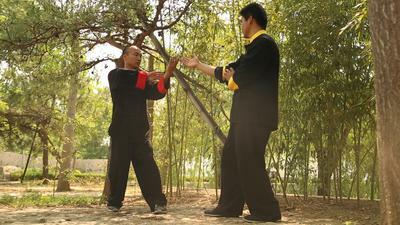 He has trained in three different Wing Chun systems as well as Fu family kung fu, Hong Quan. He trained under a number of masters but traces his lineage to Sum Nung through Lei Zhi Ho in Guangzhou. Our other Wing Chun instructor is Master Wang, who has trained in Ip Man lineage Wing Chun. He also teaches Hong Quan Chen Shi Taiji (a derivative of Chen Tai Chi) and Jeet Kune Do. The school is completely equipped with indoor and outdoor training facilities, living facilities (including hot showers, western toilets, a chill out room, gym, billiards, table tennis, books and more). You will be served three meals a day, including on weekends. Training is 5 days per week and 7 hours per day of core training. You are welcome and encouraged to train more and to maintain and review your training on the weekends. The school itself is surrounded by mountains and water making it a perfect place to get away from the hustle and bustle of the world and focus completely on training, getting in shape, and boosting your health in body and mind. It's a great opportunity to learn kung fu in China from an English speaking master in Western Huang. Master Wang doesn't speak any English but he is enthusiastic and picking it up. We have translators on staff to ensure that classes run smoothly with Master Liu and Master Wang, who don't speak much English. Master Huang's class doesn't have a translator as his English is very good. I will not attend there!!!! DO NOT GO HERE!!! This used to be a decent school, but unfortunately the incompetency of the owners and managers has caught up to them. They are liars (seriously - they lie about everything! As I write this they are advertising for new students at their new location - using pictures from the old location) and thieves (they refused to refund money that I was entitled to because the school had no money left. They were broke. They also breached their contract and refused to even acknowledge such, let alone offer any form of compensation) Once you pay your tuition they no longer treat you like a paying client, but instead treat you like an employee. And if you try to complain about the treatment they will ignore you (the manager one time attempted to literally jog past me when I was waiting to speak to him. Then he pretended that he did not understand what I wanted - which was a lie - so asked me to wait while he went to get a translator. Instead he hid away in a dorm room until I got tired of waiting, and then ran to his vehicle and drove away. This is their management style!) This school can best be summed up by the following quote from the manager. I told him that his treatment of me would result in very negative reviews of his school. His response was this: "Go ahead. That is fine. People will still come here." Do yourself a favour and find a better school!